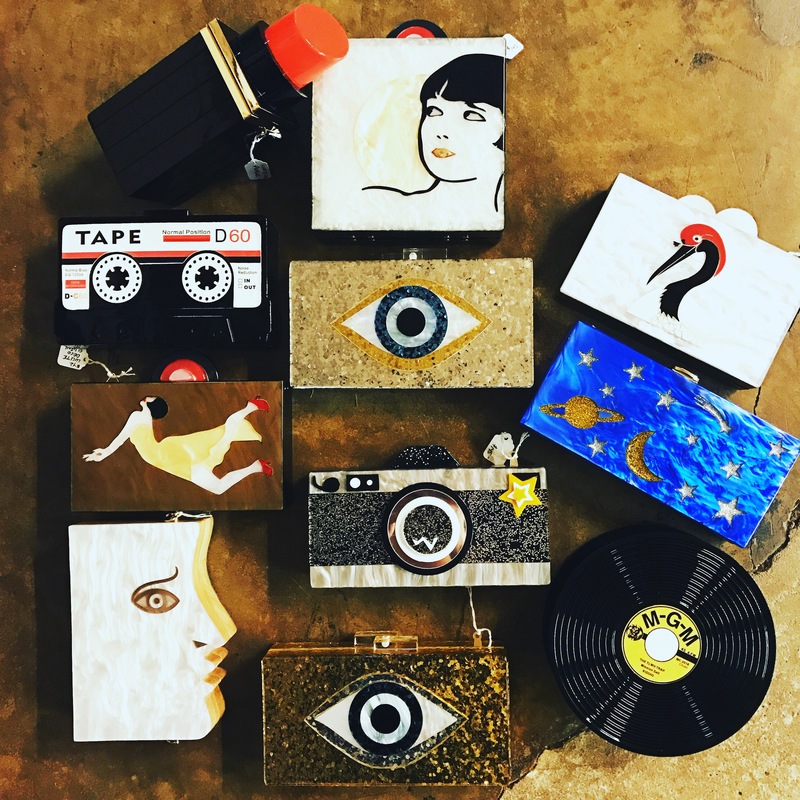 Love these contemporary lucite clutches we just got in!! 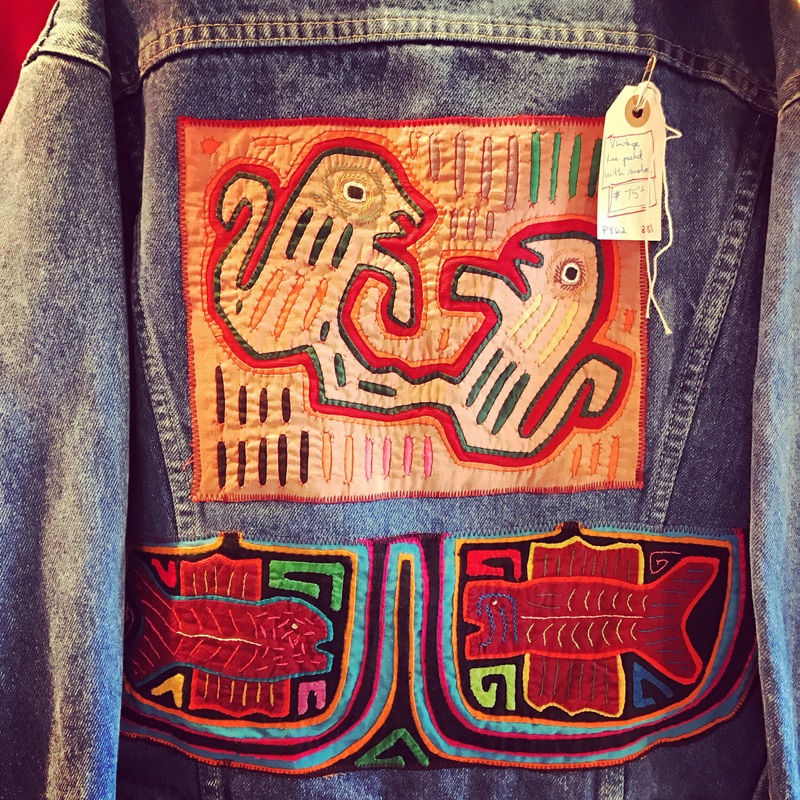 I love this vintage Lee denim Jacket that has Molas sewn on the back. Jacket is a size medium. $75. 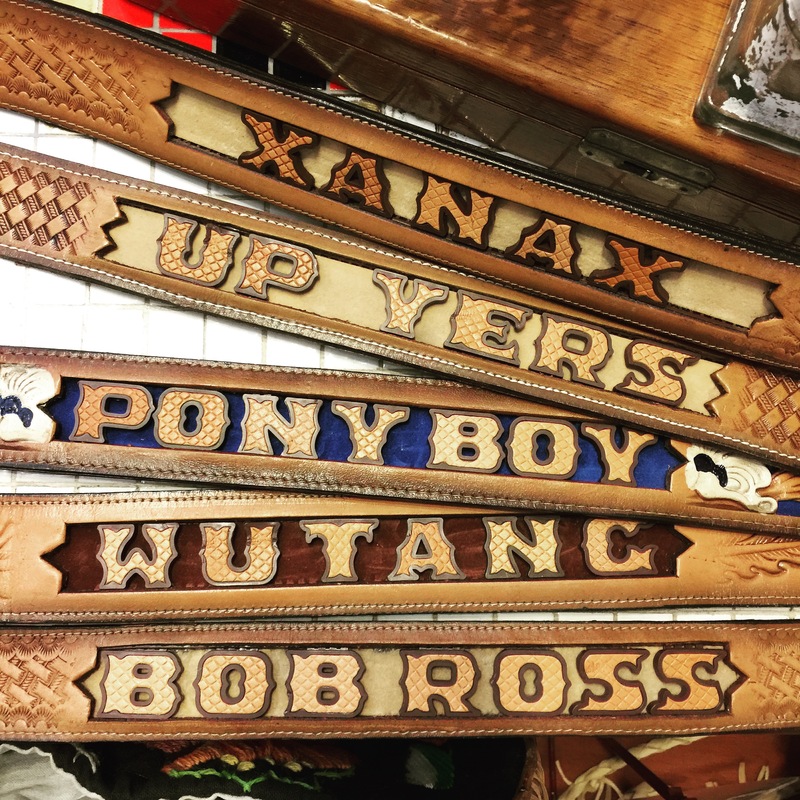 My employees do a damned good job assembling these belts that we sell!! They are very creative indeed. $48.